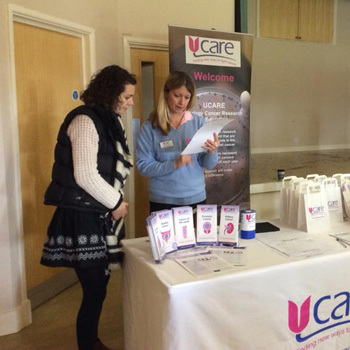 A full house at this popular UCARE event. Thank you to all our helpers, speakers and people who attended - great to see so many of you and everyone chatting. 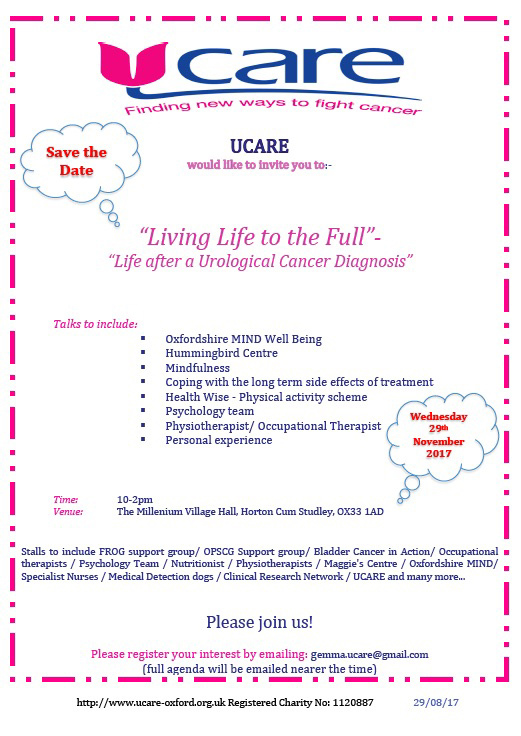 The day will comprise of two hours of interactive talks from those professionals involved in the support of patients during their cancer journey and those that can help them once treatment is completed. People will be able to speak to professionals on a one to one basis and find out what is accessible to them. 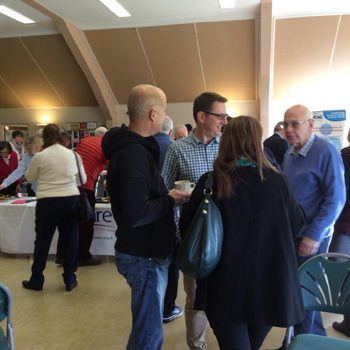 The stalls will be very informal allowing people to ask difficult questions or just gain information which they may use at a later date. 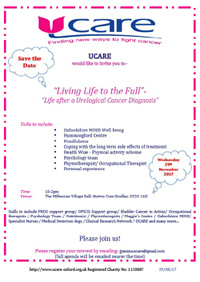 Please register your interest by emailing: gemma.ucare@gmail.com (full agenda will be emailed nearer the time).